Whether you’re moving in or out of a commercial building, packing is easily one of the worst parts. There are so many unique elements that go into making your commercial space the one-of-a-kind building that it is. Given that each of these pieces is a necessity for your business, the last thing that we want is for you to feel stressed out throughout your moving experience. One of the best ways to ensure your move goes smoothly and without stress is by hiring a professional packer. For some, hiring a professional packer may seem like an additional cost for something that could easily be done be done by the staff on hand. The reality, however, is that there are countless benefits to this decision. 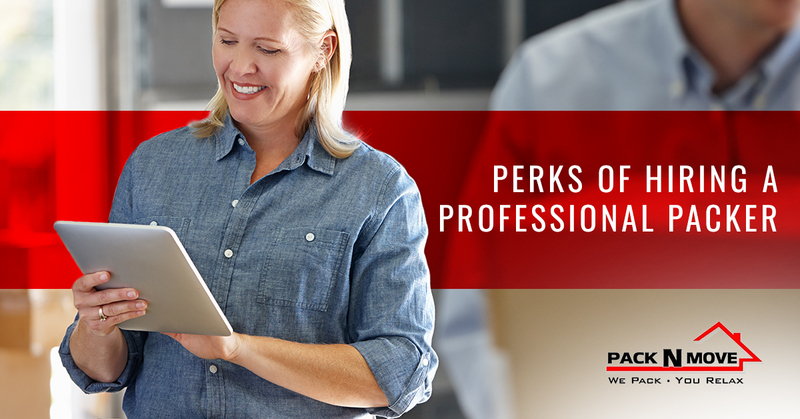 Keep reading to see some of the primary benefits you’ll get to enjoy. Packing is easily one of the most time-consuming parts of moving. It’s so easy to put packing off and get a little bit sloppy when you wind up rushed. Rather than put yourself through this, pay for a team of professional packers to take over. Not only are they going to provide you with a quality job, but they are going to provide you with additional time to tie up any loose ends. Even though it may not seem like a ton of time is being saved with the help of professional packers, you’ll definitely be able to note the difference when it comes to the official move date, and you’ll be so thankful for the extra time you had. Remember that quality job we just talked about? Well, that is without a doubt one of the perks that you are going to enjoy when you hire a professional mover! It’s so easy to scratch up furniture, damage items or wound up with lost things throughout the packing process. Rather than let any of those circumstances add more stress to the weight of your move, allow a team of professional movers to ensure that everything makes it through the move in one piece. Again, packing is definitely one of the most challenging parts of having to move. It’s not something that you want to leave to the last minute, and it’s definitely not something that you can slack with. That being said, hiring a moving team is a sure way to enjoy efficient packing. When you’re in a tight place and need to get the packing done, leave it up to the team of professional packers to handle all of your belongings gently while still getting everything packed up for you. If you are moving in or out of a commercial space in the Visalia area, reach out to the team at Pack N Move. We offer full commercial packing and moving services to those in need, and at a reasonable cost. Reach out to our team today and provide us with the details of your move and we’ll give you a free estimate for the services you’re interested in. For the first time ever, you don’t have to stress out about your move! Let our teams handle it from start to finish.